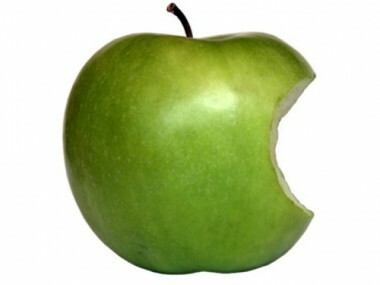 Apple is back in EPEAT. Reversing a move made earlier in the week, when it pulled out of the government-backed registration of environmentally friendly electronics, Apple announced that it will continue to participate in the EPEAT program. The news came in a letter posted to Apple’s Web site from Bob Mansfield, the senior vice president of hardware engineering. “We’ve recently heard from many loyal Apple customers who were disappointed to learn that we had removed our products from the EPEAT rating system. I recognize that this was a mistake,” Mansfield wrote. The move had caused a bit of a public relations kerfuffle that led, among other things, to a decision by the municipal government of San Francisco to block purchases of Apple products. EPEAT CEO Robert Frisbee posted his own letter on the EPEAT web site. “Our relationship with Apple is based on our natural alignment — as Apple drives innovation in product design, EPEAT drives innovation in standards design,” Frisbee wrote. Apple pulled 39 products, including desktop and notebook computer and displays, out of the EPEAT program in June. The move stemmed from new design moves in notebooks that made the machines harder to take apart when they’re recycled. One possible issue that has been speculated on is that the battery in the MacBook Pro with the Retina display is attached to the outer case. While most most batteries are separate from the physical body in order to make them easier to replace, Apple made this battery smaller and decided to attach it to the enclosure. EPEAT standards allow for batteries that can be removed from the body with “common tools,” and so qualified for EPEAT’s Gold rating. Since ease of recycling is a key part of EPEAT’s rating system, Apple and the organization found themselves at loggerheads, though the precise details haven’t been made public. The basic problem is that EPEAT’s standards aren’t as flexible for the kind of fundamental changes to the physical design of computers that Apple makes every so often. Historically, Apple has tended to lead the EPEAT ratings. When the company found itself under attack by Greenpeace for the chemical content of some of its parts — claims that Apple has since addressed — Apple had always pointed to its performance in the EPEAT standards versus other vendors like Hewlett-Packard and Dell.